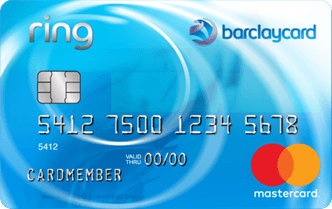 The Barclaycard Ring™ Mastercard® offers a unique partnership with its cardholders. As a member, you will have access to the online community to give your input via votes and ideas. The community voted to nix a foreign transaction fee, which is why this card doesn't have one. You may need excellent credit to be approved, but if you are, you'll be able to help determine future benefits. This card doesn't include rewards like you would get with other options, but you won't be empty-handed. The issuer shares its community profits with users in the form of cash back or charitable donations. The Barclaycard Ring is also far more transparent than most other options. They release financial information on payments, interest, fees received and data on the card's user base, which is an uncommon feature in most credit cards. If you plan to carry a balance, after the introductory period the low APR is a definite bonus. The card offers 14.24% Variable. It may not be the lowest APR of all credit cards, but it's very low compared to most other options. Again and again, that is a feature that users cite favorably in their reviews. Plus, a $0 annual fee is always a perk, and the $3 flat cash advance fee is unique. This card may not have a ton of bells and whistles, but the benefits it does offer make this an excellent, unique card option for those with stellar credit. Late Payment Fee: Up to $27. Returned Payment: Up to $27.